Downstrands Community Development group welcomes you to their ‘Tourism Brochure launch’ in the Lake House Hotel, on the 4th of July. 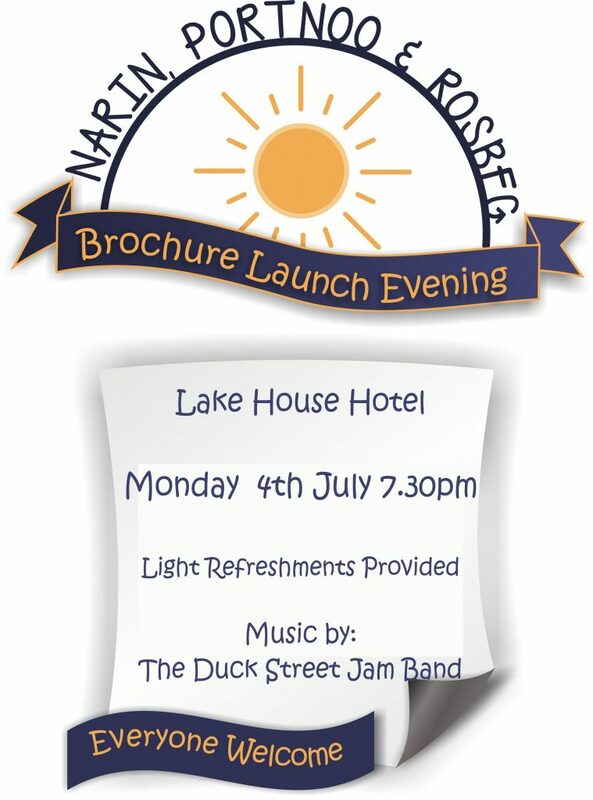 There, you can view their vibrant new Brochure, avail of the light refreshments, and enjoy the music provided by the local sensation, ‘The Duck Street Jam Band’. If you would like to have a ‘Stand’ at the event, please contact Mary on 00353 (0) 74 95 45123 to arrange this.